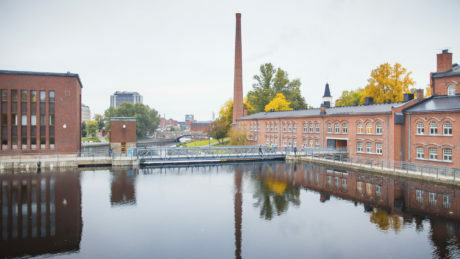 For more than a hundred years, Tampere has been a location where machines have been built for various applications. Globalized companies have survived and changed. The mobile technology and R&D in universities have helped evolving and new companies to be born in Finland. In an odd way, many cities have benefited from the decline fortunes because a large pool of talent has been freed up as a result. The powerful industry cluster that evolved around mobile communications remains strong. Many former Nokia employees have founded their own small companies or been recruited by firms at the cutting-edge of technology, for example in the fields of mobile networks and game technology creating a new vivid startup scene in Tampere. New Factory – one of Finland’s leading startup accelerator and business incubation centers – is an example of the kind of organization that thrives in the rich innovative environment that Nokia helped to create in Tampere. It connects business and people providing the space, tools and facilities for collaboration. The center has 170 partner businesses, has created 70 start-up companies and has created more than 400 jobs. Under the roof of New Factory, you can find Demola, an international organization that facilitates co-creation projects between university students and companies, either locally or internationally. Demola is an innovation platform that brings together innovative companies, universities and talented students from different fields of studies. In Demola, students collaborate with companies in 3,5 month projects in order to produce innovative solutions to real-world needs with agile methods instead of traditional R&D. The Game industry is accelerating in Tampere due to the availability of competent game developers. Tampere is one of the biggest game hubs in Finland and the local game industry is growing fast. Tampere holds a strong game industry network and active game developer community. “Tampere has a tightly knit game development scene with innovative companies and a good support network of services. As a city, it provides great atmosphere to build a company. Traplight is a mobile game studio that aims to revolutionize the way players – and the game industry – conceive and experience user-generated content. The company has collaborated with big game companies such as Redlynx/Ubisoft and Supercell. The recent game industry success story, Tampere based Colossal Order was recognized In 2015 with the Golden Cube prize as the best overall project made with Unity. Its Cities: Skylines was published in March 2015 for Windows, Linux, Mac and Xbox One. During its first month after the release the game sold a million copies, becoming the all-time best selling game for the publisher, Paradox Interactive. The latest recognition for the Cities: Skylines is the Finnish Game of the Year 2015 announced in the Finnish Game Awards in April 2016. The Tampere region is a forerunner in intelligent machine development. The region boasts a proud industrial heritage stretching back more than a hundred years and is known for its internationally competitive manufacturing know-how. Combined with solid expertise in ICT, we are well-placed to respond to the challenges of the new digital age and to generate innovative solutions for new industries and smart cities. As many international businesses have already discovered, our industrial ecosystem offers truly unique conditions for success. The Industrial Internet of Things (IloT) ecosystem is made up of a proactive business, research, training and innovation network, with all participants engaged in producing, applying or promoting the development of the IIoT. 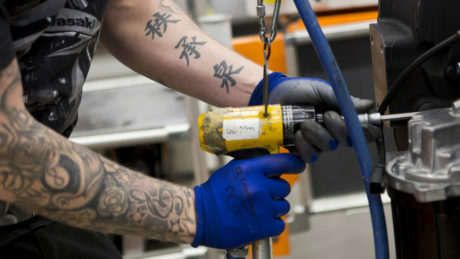 The local engineering businesses, for example, are leading the way in big data. The area also offers excellent R&D opportunities through collaboration with leading international companies and universities. Furthermore, research activity in the area is generating human interaction solutions for IIoT. We offer an agile and responsive setting for business that is sizeable enough to promote fresh innovation. The region is also home to Finland’s hottest start-up cluster, offering innovative new operating models and technologies.